Stating that Syria has experienced tension between the Assad regime and the rebel group Free Syrian Army over the last two years is a gross understatement. The conflict has spawned much brutal and tragic violence, and the U.S. has been tiptoeing around the subject of whether or not to directly intervene for quite some time. U.S. accusations that President Bashar al-Assad’s forces killed 1,492 civilians in a poison gas attack last week have exacerbated the said controversy. Furthermore, President Obama has left the decision up to Congressional vote, thereby seducing those on the World Wide Web to pounce on the opportunity to propagate opinions and break out the history books on U.S. interventionist foreign policy, a path much traveled. The case for military intervention in Syria is primarily one of moral responsibility. The heinous death toll coupled with the advent of chemical weaponry is enough to convince most that military intervention from a Western power is imperative. This sense of ethical duty is complemented by the recent success of Western intervention in Libya with respect to Muammar Qadhafi. However, it is my impression that the potential for colossally negative externalities of such an intervention outweigh the benefits that an almost proud and definitely hasty, near-sighted view could reap. I do feel that intervention in Syria was, at one time, significantly more practical. In the budding stages of the opposition to Assad’s regime, the ideology was geared toward secular political and economic reforms that would have effectively liberalized the nation. However, since then, the Free Syrian Army has leaned on radical Islamists for support, both financial and otherwise. The “army,” which is cohesive in name, is actually a blanket for many small units, family gangs and criminals – secular, mainstream, radical, or religious. Furthermore, other rebel forces have chosen to officially align with the Free Syrian Army, such as Jabhat al-Nusra – a group in support of Jihadhist tactics and suicide bombings. This ambiguous concoction of rebels has diluted the quondam ideology and leaves American soldiers with a murky at best idea of whom and what they would be supporting – and what the outcome would be. 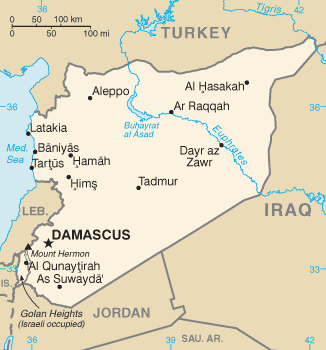 Moreover, Syria has serious allies, two of whom are permanent members of the U.N. Security Council. The U.S. not only has a responsibility to act ethically but it also has a commitment to formal diplomacy with Russia, China, and the UN. Additionally, some of the radical groups affiliated with the rebel forces are in conflict with the U.S. ally Israel. According to the BBC, a spokesman for the Russian presidency said a U.S. military strike on Syria would “drive another nail into the coffin of international law”; this is also true of U.S. foreign relations. Hypothetically, if it were the case that Congress voted for military action, who’s to say the U.S. would be successful? In addition to the aforementioned Syrian allies – the powerful and significant allies – Assad’s regime has a sophisticated air defense system, weapons of mass destruction, and a weak and scattered opposition with no veritable ideology or even a geographic base from which it can launch its operations. America’s tendency to overinvest in military power and its low expectations of other countries’ abilities to stabilize and secure their immediate region make this debate a habitual one. However, Syria is not another Arab spring – support for a divided and potentially dangerous rebel force, opposition toward influential allies, and an economically and militarily fortified regime are what we face. Believe me when I say I am the first to denounce any activity that mirrors Genovese syndrome, but military intervention, if successful, would most likely lead to a regional power vacuum in Syria. The U.S. should continue to strive for a diplomatic solution; working with key countries in the region such as the NATO ally Turkey, or even using our leverage with the Iraq government, are more appropriate and practical paths. At the moment, the U.S. is stuck between a rock and a hard place, and it will have to accept that there will be consequences and regrets for whatever form of action it chooses to take-– but this indecision must be replaced with conviction and, hopefully, with a hue of diplomacy.